If you dropped by the 7e7 showroom this week you would have seen the space transition to unveil new work from Janaki Larsen Ceramics and MANDULA. 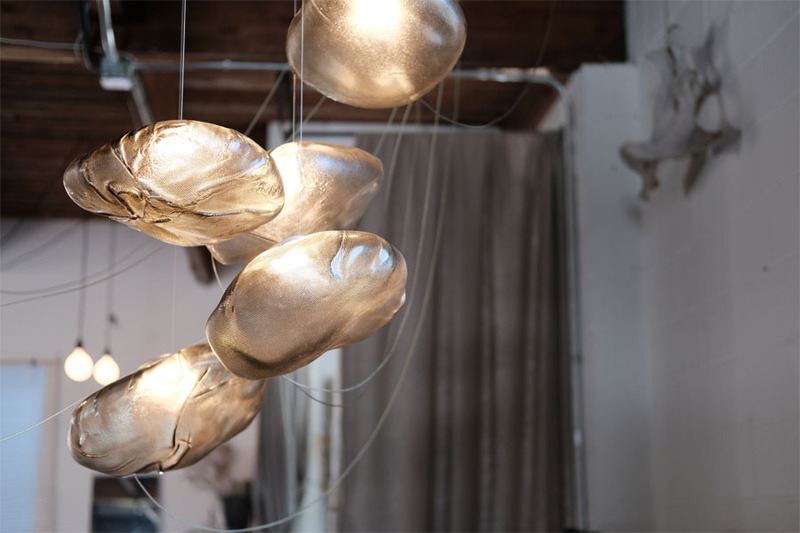 The relaunch of the space this week also included three new light fixtures from BOCCI being installed in the space with Bocci 73, 84 and 87 bringing another element to the space. 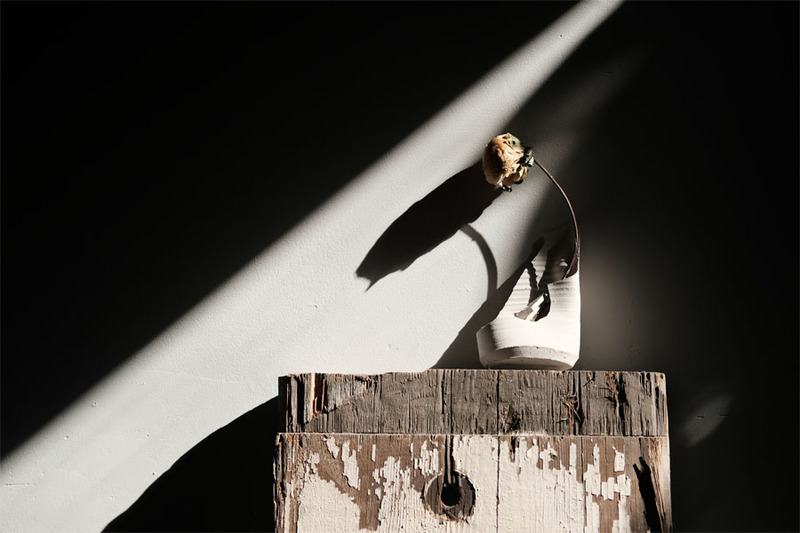 Here are a few photographs capturing the light, shape and textures from before and after the Autumn launch at 7e7 Atelier St. George and next door at The Wild Bunch floral studio. 73 results from blowing liquid glass into a folded and highly heat-resistant ceramic fabric vessel. The resulting shape has a formal and textural expression intuitively associated with fabric, which becomes permanent and rigid as it cools. A white glass moil is captured inside a fine copper mesh basket and then plunged into hot clear glass. 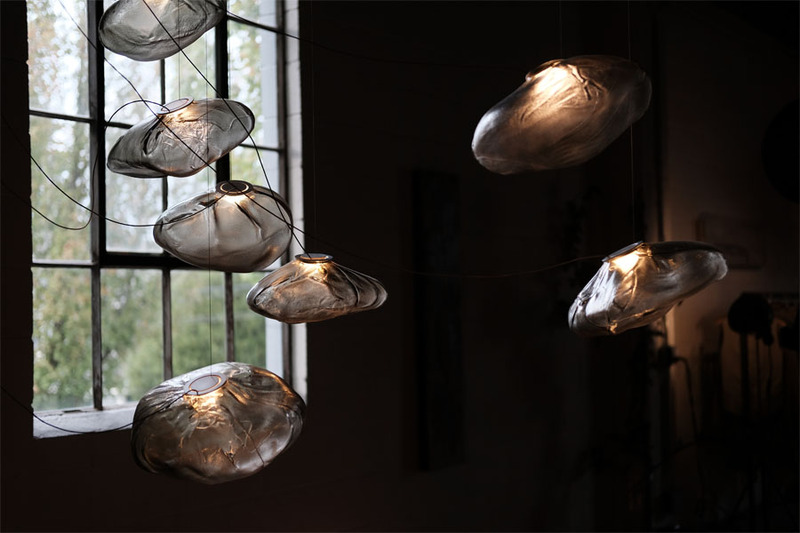 Air is blown into the matrix to gently push the white glass through the mesh, creating a delicate pillowed form that is suspended inside the thick outer layer of clear glass. Soda water is used to trap air in a super heated glass matrix, which is vertically stretched and folded back onto itself between pegs numerous times . As the glass cools, the folding motion along the grain of the loop turns the entrapped air into microfilaments that give the piece a pearlescent optical quality.